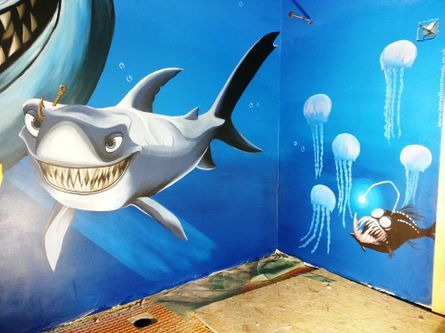 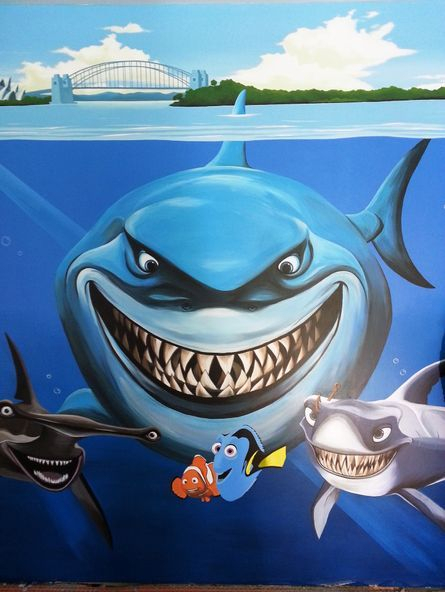 This Finding Nemo mural was painted on one side of a private swimming pool room. 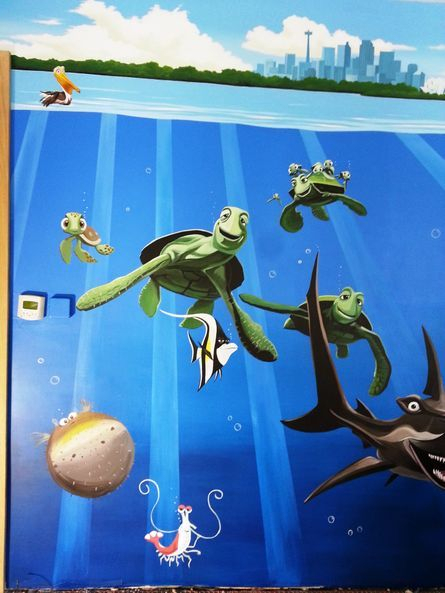 We painted all the main characters in a colourful underwater scene, with a landscape and sky above. 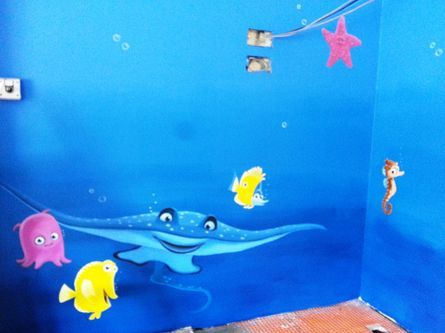 Once we were done, we coated it with a matt glaze to make it extra water resistant, given its location. 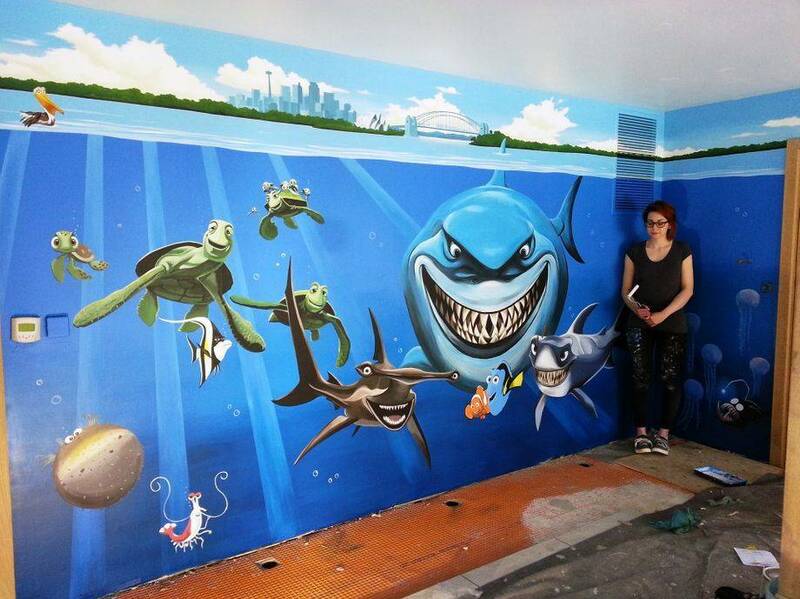 This mural took us ten days to complete.